From local knitting and needlepoint shops to beading projects and pom pom workshops, share your favorites with the Pink Imperfection community so we can all enjoy learning new places to shop, sew and meet new folks that share in our passion for making! Here are some of my favorites. Email me at rebecca@pinkimperfection.com with your favorites and why. I will add them to our directory right away! One of their specialties in custom design work. They have extraordinarily talented artists that will create a one of kind pillow, belt, frame, you name it with your own specific requests. A personal favorite is the college pillows they have designed for several of my friend’s! Be sure to say Hi! to Beth Crump, one of the owners. She is my son’s god mother!!! She can help you with any needlepoint project large or small. But of course the whole staff is wonderful. Knitting & Crochet: Fiber, Needles & Supplies, Classes, Patterns. Recommended by Jacko Day. 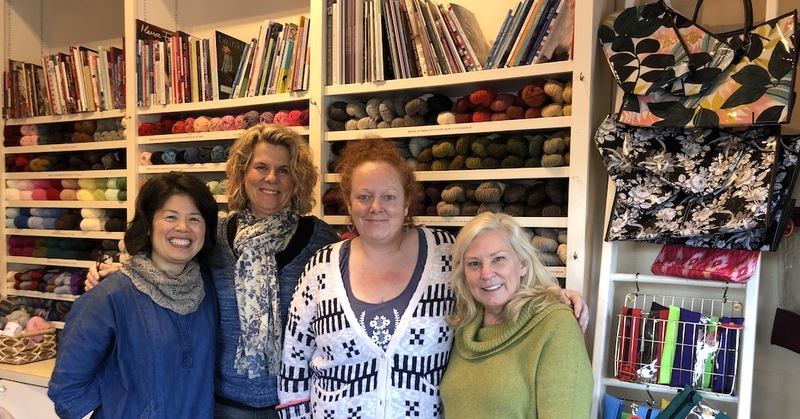 Meet Beth Schaefer and her amazing team that will help you get any knitting project up and running! They are such a pleasure to explore new patterns and yarn with or just to chat about the latest Wool & Sheep festival in the area. Great instruction and classes all the time. Gorgeous shop with several spots to just sit and sow! My favorite is how they can help you find patterns on Ravelry. They will add them to your purchase, print them out on their nice color printer as well as add it to your Ravelry library online! Project bags to die for. Chunky yarn and pom poms! Bright, energetic and full of whimsy will be found in Lycette needlepoint studio. Founded by Jessica, she decided to pursue her passion and reinvigorate this beloved pastime of needlepoint through a millennial lens. 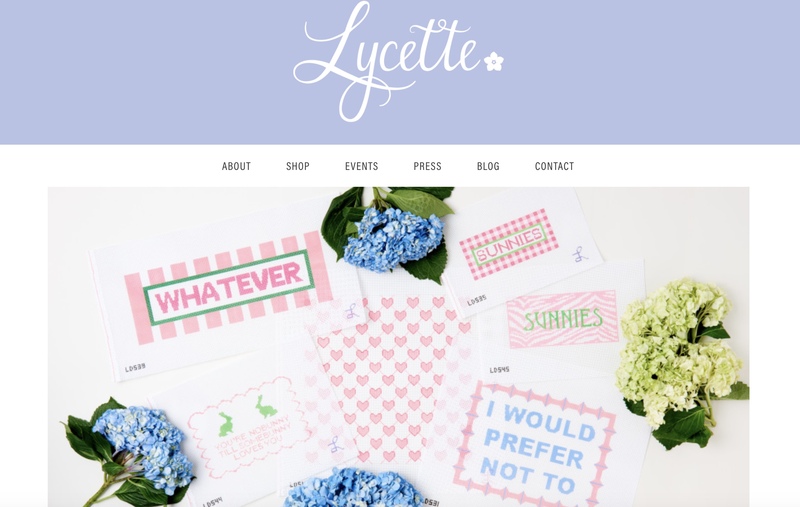 The Lycette brand and needlepoint designs are all her own creation! If you can’t stop by in Palm Beach, she hosts traveling trunk shows all over the East Coast. So check out her event schedule often! Owners Betty Scanlon & Madalena Bruno will help you find not only the most fun canvas, but also help you find unusual fibers that will really make your needlework stand out! Plus Betty is my personal stitch guide maven. She has so many amazing ideas on how to add designer stitches to any canvas. Her eye is really a gift. 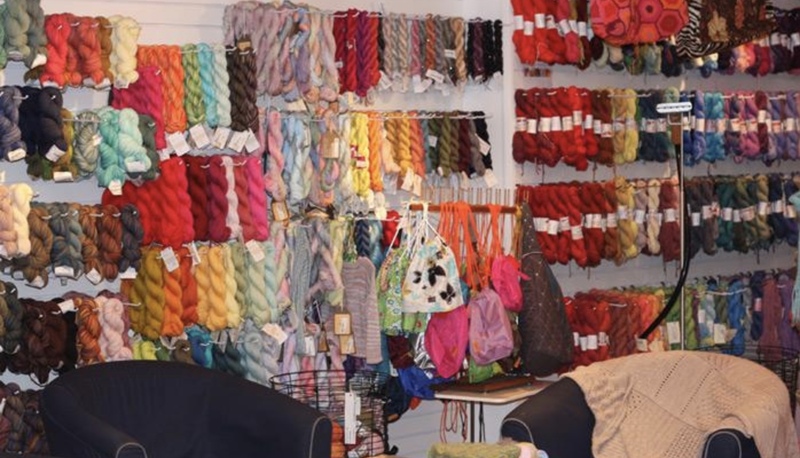 Stitch by Stitch also hosts numerous classes and always has a great group of needlepointers in the shop sewing and sharing the latest news of the day! Read our interview with co-owner Betty Scanlan. She has a great story how she started the shop and how it has grown through the years! Knitting & Crochet. Needles, hooks and supplies. Classes. Patterns. Recommended by Tapley Sheresky. This is quite a little jewel in the town of Mamaroneck. The women that work in the shop are so helpful and give great suggestions for projects to go with so many amazing fiber options. Extensive collection of yarn, needles and patterns. Plus classes going all the time! A most yummy place to be inspired to try a new project, new yarn, and a new technique. You will see a ton of projects from Purl on this site. They have a fabulous shop, great website, terribly additive email that makes it way too easy to add to my stash, AND I have taken a few classes there as well! 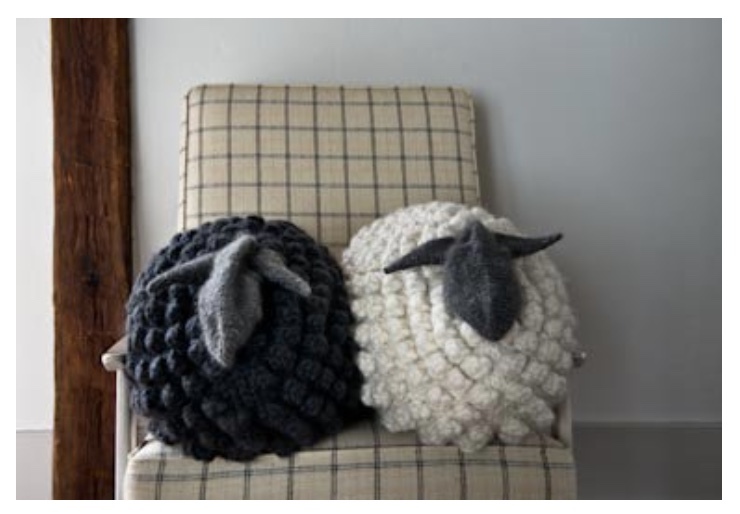 My next project is to make this fabulous sheep pillow! This is a brand new yarn company bringing ethically sources, super soft Tibetan yarn to the world. Spun in Italy and based in the New York City. They have the best story! Beautiful kits designed by some of the most thoughtful and lovely teachers. My favorite Sarah Solomon (who you can follow on Instagram @intothewool) has designed several of their kits that are in my stash as I type! MyAk projects – check out all their kits! Want to share one of your favorite shops or websites? Leave me a comment below or email me directly at rebecca@pinkimperfection.com. I will add it right away! Remember to send me any pictures and your review on the place as well! While the picture above may seem like Annie only has knitting supplies, she has an amazing needlepoint canvas collection and fibers for every single amazing idea you can think of. It is fun just walking around the store to see all the finished pieces. Make sure to go into the bathroom. Some of my favorite pieces are framed in there! They also have amazing classes and every Wednesday night at 6:30 they host Stitch & Sip! You will meet the most fun folks and be inspired with endless new projects both needlepoint and knitting! Tiffany Box needlepoint project by Annie & Company needlepoint gallery. Knitting & Crochet. Needles, hooks and supplies. Classes. Patterns. Recommended by Michele Howe. 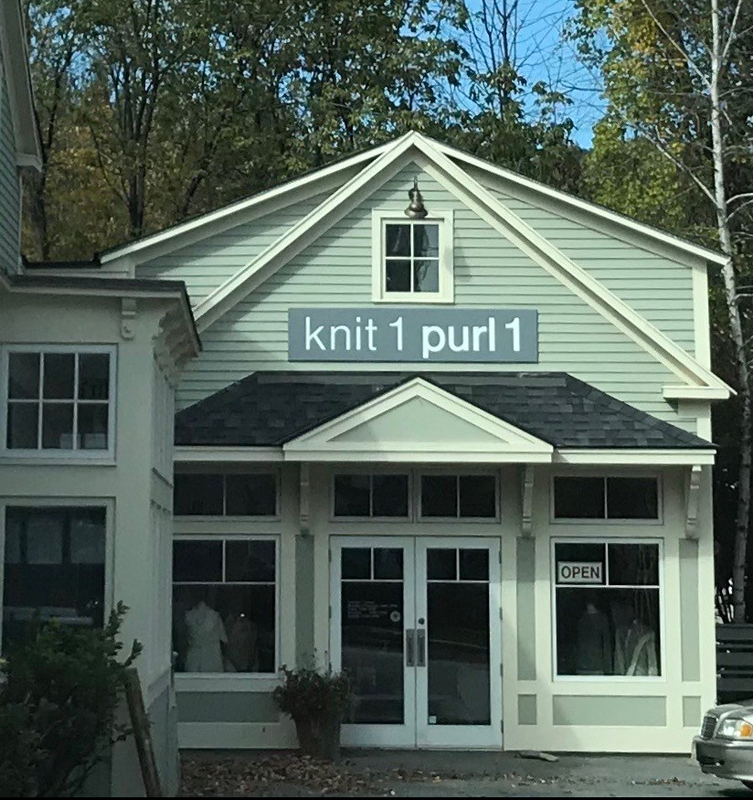 This awesome knitting and crochet shop is in the heart of Manchester, VT where fiber artists can enjoy skiing in the winter and fly fishing or golf in the summer in between all their knitting and crochet projects. Shop owners, Lyn and Mary Anne have quite a following and invite all to just stop by and sow all day if you like! Classes and social sowing for all ages are a common affair in this delightful shop. Plus the yarns and accessories are delicious! Knitting, Crochet, Macrome supplies. Cafe. Classes. Patterns. Discovered by Rebecca Fretty. This is an extraordinary site for heirloom quality pieces Beth Russell brings to life from historical tapestries and gorgeous British fawn and flora! Each kit I have purchased from Beth have exceeded my imagination. One piece in projects is the cute little pin strawberry pin cushion. The piece that will probably be a work in progress for decades is “the Lion” in the William Morris tapestry collection.